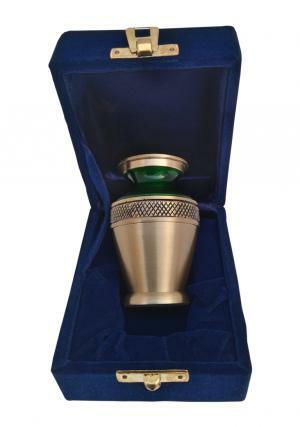 Green & Gold brass keepsake cremation urn is a metal engraved dual enamelled finish keepsake urn in the presence of green and brushed gold layer. 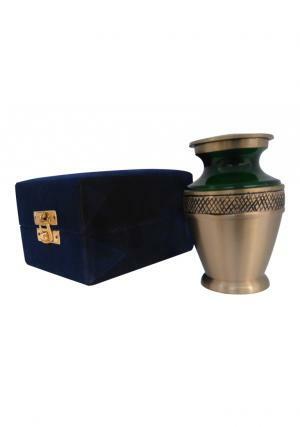 The antique colored brass metal mini keepsake memorial urn for ashes is intricately designed from skilled professionals with art work presentation on the urn. Small keepsake urn is braised above in dark forest green and moved down with band of swirls on brushed gold followed by a plane brushed gold. 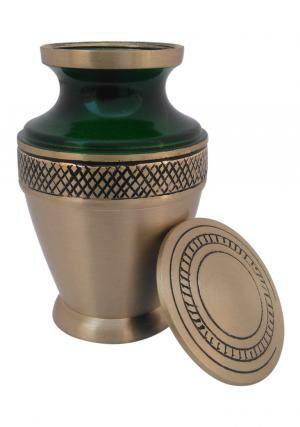 The mini keepsake brass metal urn has closed top lid with threaded label for insertion of ashes and circled rings decorated on top of the lid. 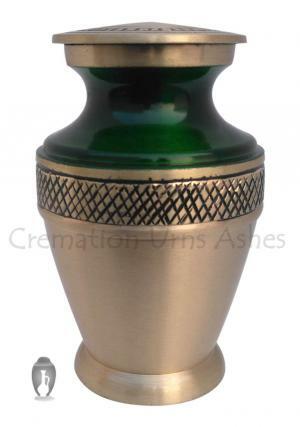 The green and gold brass keepsake memorial urn weighs 0.18 kg able to carry 3 cubic inch of token ashes approximately. 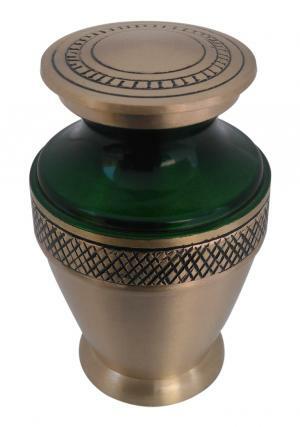 The dimensions of the keepsake mini urn are measured to 1.96 inch of length, width and 2.95 inch of height.